ANNELIN KOTILEIPÄ has served customers at the heart of Leppävirta, right next to the market square since 1993. 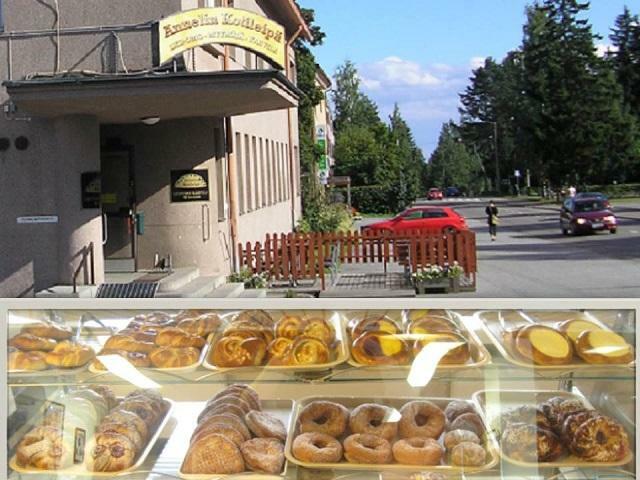 Our facilities include our own bakery, a cafeteria and a store. We are open Mon-Fri 6.00 - 16.00 and early birds might get a cup of coffee even before 6.00. Our cafeteria is easy to find and there's a lot of parking space available nearby. COME AND ENJOY FRESH BAKED GOODS, BREAD, CAKES AND PIES. We also offer a wide variety of salty snacks. AUTHENTIC LOCAL FOOD! We create all of our products by ourselves without any industrial frozen products or food additives. Also our flour and jams are Finnish and we hand-pick all the berries that we use.